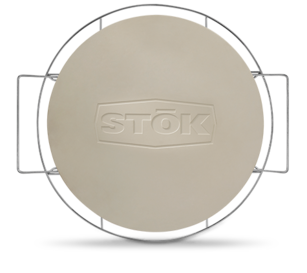 Pizzeria time with the STŌK™ Mega Pizza Stone. 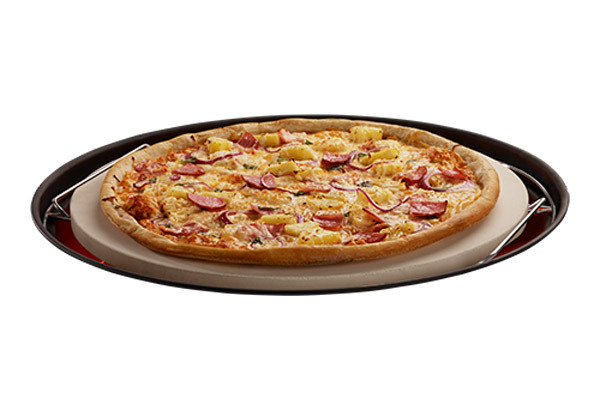 With the new Mega Pizza Stone you are no longer limited to a 12" cooking surface. 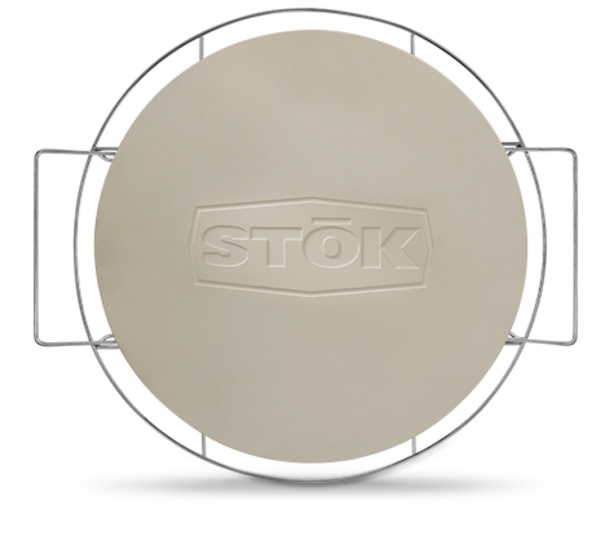 The Mega Pizza fits perfectly in the STŌK Island, Tower, Drum, and most 22.5" diameter grills. 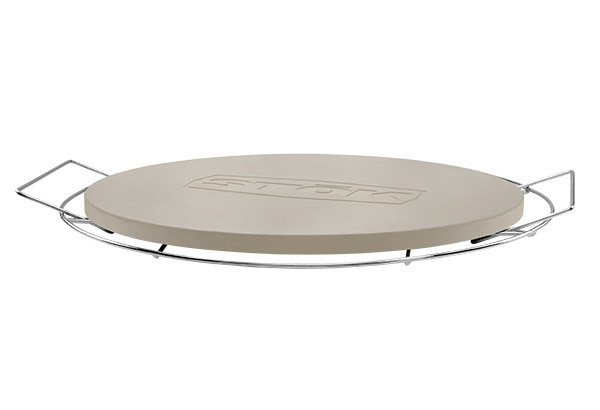 This replacement grill grate insert gives you enough cooking surface to make pizzas large enough for the entire family.